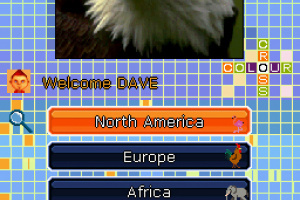 Animal Color Cross offers accessible and addictive entertainment for gamers, nongamers, and sharp-witted puzzle solvers alike! 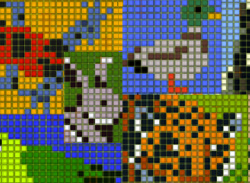 The goal of the game is to reconstruct a mysterious animal image that lies beneath the grid. 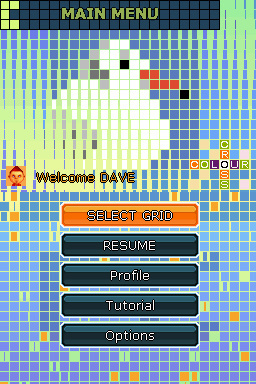 Players simply need to fill in each square of the grid with one of the appropriate colors available. To solve the puzzle, gamers can simply deduce the right color by using the numbers written around the grid. Get hooked on colorful puzzles! 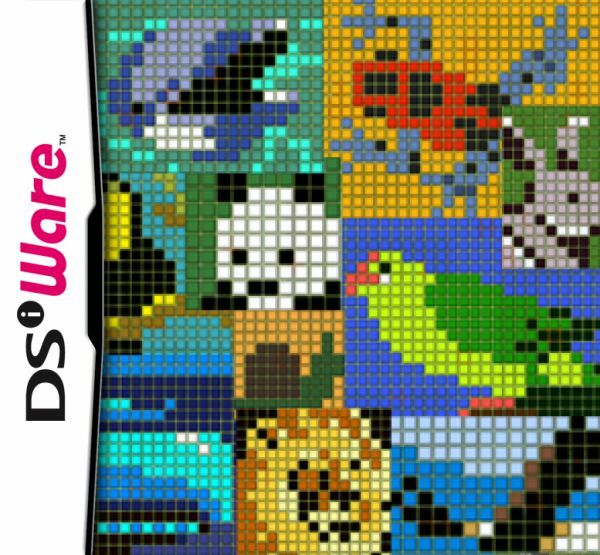 Puzzle solving addicts, Sudoku and Picross fans, or any kind of fast-witted minds can get their brain fix with Animal Color Cross on DSiWare. 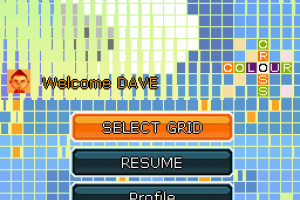 Gamers can play 72 individual grids in up to 50 hours of gameplay. 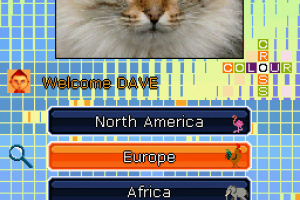 Players can select among 8 Levels presented as Geographical Zones including Europe, Oceania, North Pole, Pacific, North America, South America, etc, to discover local fauna. 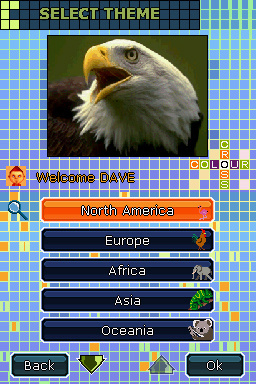 Each Geographical Zone features an increasing level of difficulty. If your brain needs a highly challenging fix, try a grid up to 20 by 25 squares to fill with up to 8 different colors. Time and accuracy count! Guess wrong and you earn a penalty. Victory is measured by time minus penalties – compete against yourself for better scores! Kids can also complete the difficult puzzles as there are no Game Over constraints but only time penalties. 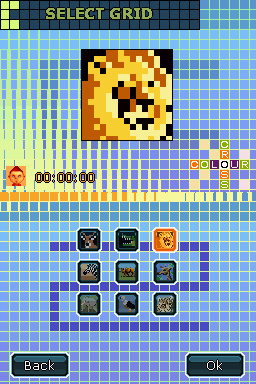 Animal Color Cross allows players looking for a quick distraction to complete an individual grid whenever they have a few spare minutes. The bus has arrived or your meeting is about to start? 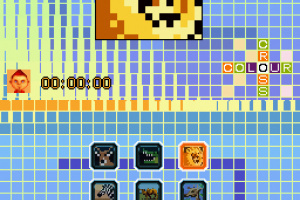 Don’t worry, Animal Color Cross features a saving system to record your progression on the fly. Not sure about the area you are dealing with and the number of squares already marked? The game’s “aid system” helps you along the way. Work with grid numbers and layers of colors and if you do well each individual grid reveals an animal illustration in pixel art and you unlock a portion of a larger, secret, and beautiful image. How much longer does N. America have to wait for this? Sure hope it becomes a reality real soon! The release for North America according to GameSpy, is June 28, 2010.
jhuhn: I apologize for just noticing that you had answered my question. 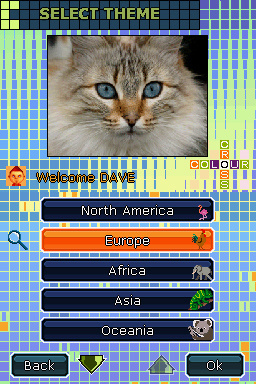 Obviously, I know by now that this game has been released..LOL! So, thanks for your answer. I certainly appreciate it.